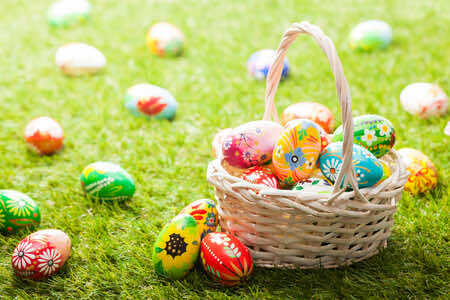 EASTER SPECIAL: IS CHOCOLATE GOOD FOR YOU? Did you click on the link with your fingers and toes crossed, whispering “please say it’s true, please say it’s true”. Well, we did! With Easter just around the corner (along with all those chocolate eggs), we thought we’d take the opportunity to put our medical brains to the question: “can chocolate ever be good for you?”. In a report published in Circulation in 2009 titled, “Cocoa and Cardiovascular Health”, it is claimed that “cocoa does indeed exert beneficial cardiovascular effects, probably mediated mainly by its polyphenols”. The report also suggests that cocoa has a slightly positive effect on “blood pressure, insulin and blood lipids”. If you’re looking to reap these rewards, perhaps you should opt for dark chocolate, since it is higher in cocoa! A number of online sources suggest that chocolate boosts your brain power! How? Well, it’s apparently down to the flavanols – the plant based nutrients that are found naturally in cocoa. It is suggested that these flavanols cause blood vessels to dilate, enabling more energy to get to the brain. In turn, this is said to increase alertness, concentration and cognitive performance (although this is in only in the short term). According to LDC’s dermatologist, Dr Heschil Lewin, it is a misconception that chocolate is bad for your skin: “There is no evidence to suggest that eating or avoiding certain foods can help with acne. That said, just because there’s no clear evidence on a large scale doesn’t mean that if you notice certain foods help or aggravate your acne you shouldn’t follow your own observations.” Many online sources also report that the flavonoids in dark chocolate help protect against sun damage and have antioxidant properties! As this Daily Mail article reports, chocolate contains valeric acid, “which is a relaxant and tranquilliser”. It also contains sugar and it’s sweet taste “activates opiate-like substances in our brain”. However, according to the NHS, the study that this article might be based on was carried out by none other than a chocolate manufacturer! They write, “this study has numerous methodological flaws, and when considered in isolation does not provide any evidence that dark chocolate has benefits or effects on stress, psychological or mental health, or cardiovascular health.” Read what else they have to say, here. Still, if a chocolate bar at the end of your day seems to reduce your stress levels, by all means go for it! Similar to our first point about heart health, chocolate consumption has also been linked to a decreased risk of stroke. However, the NHS comes to the rescue once again, investigating this claim in depth and suggesting that a cause and effect relationship is not fully established! Read more, here. While the nutritional value of chocolate is easy to prove/ disprove (simply look at the back of the packet the next time you have a cheeky chocolate snack), it is harder to learn the truth behind weight loss claims. However, Dr Seth Rankin, CEO and founder of LDC and a GP with particular interest in diet and weight management, says “while dark chocolate is reported to have mild appetite suppressing activity, if you eat too much of it then you will put on weight” – simple! (For loads more information on diet and weight, including some very informative videos, check out Dr Rankin’s HealthPad page).